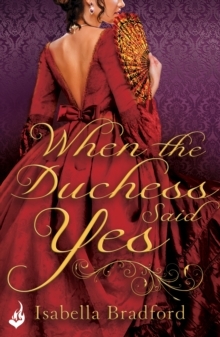 For fans of Julia Quinn, Eloisa James and Sarah MacLean, comes Isabella Bradford's enthralling new trilogy of London's most scandalous rakes, the Breconridge Brothers, who are about to lose their hearts... Though charming and handsome, Lord Rivers Fitzroy, the youngest Breconridge brother, is more inclined to dusty books than brazen women. But when his father insists he marries, he vows to make the most of his last days as a bachelor. And what better way than in the company of a troupe of Italian dancers, where he's challenged to a wager he can't resist: turn the players' meek and mousy cousin into the first lady of the London stage. But he gets more than he bargained for with Lucia di Rossi. She has her own past to overcome and her own starlit aspirations. As the lines between performance and passion become blurred will finding the spotlight mean losing their hearts?Catch the rest of the dazzling series! Don't miss A Wicked Pursuit and A Sinful Decption. Before the Breconridge Brothers, came the Wylder sisters. 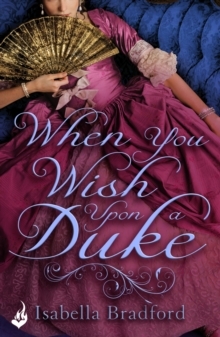 Don't miss a moment of the romantic and captivating debut trilogy from Isabella Bradford: When You Wish Upon a Duke, When The Duchess Said Yes and When The Duke Found Love.